Dar Lighting Ancona 3 light ceiling fitting features a circular ceiling rose with 3 twisted ribbon like arms in antique brass finish spiraling out from the ceiling plate and supporting clear crystal glass shades. 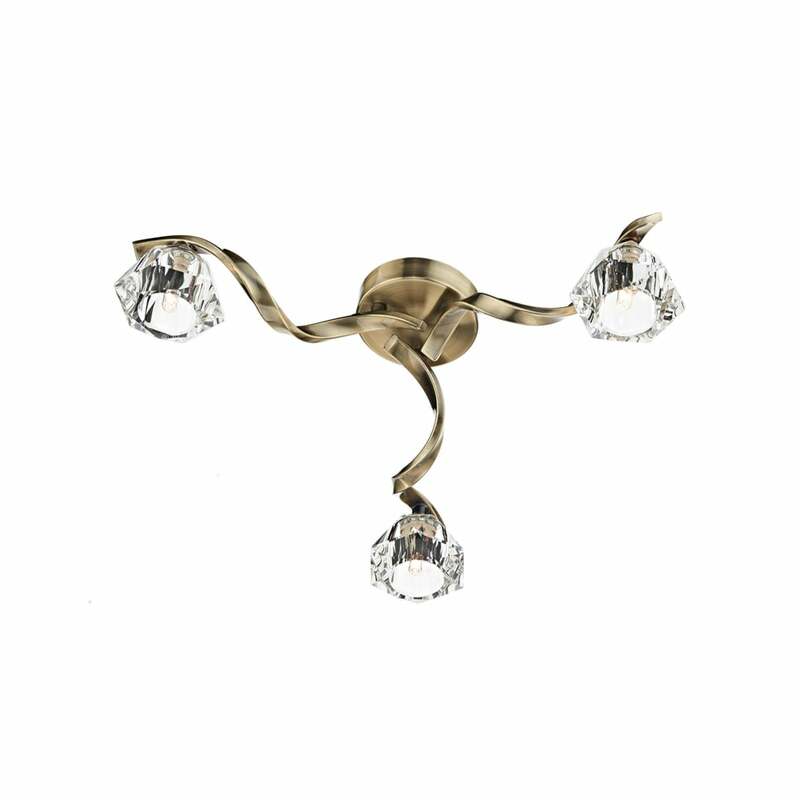 This charming flush ceiling fitting will suit both modern and traditional decors alike and will provide bright halogen light making this a perfect choice for your home. The Ancona range includes a matching 5 light bar fitting , 5 light flush fitting and 2 light wall fitting all of which are available in antique brass or polished chrome finish and can be seen on our website.